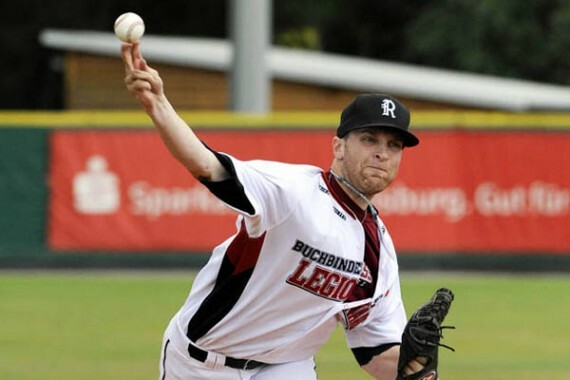 The Buchbinder Legionaere Regensburg announced a couple of offseason transactions on Monday. The biggest news is the transfer of Harry Glynne to the Untouchables Paderborn. The German-American came to Germany last May following graduating. He appeared in four games during the regular season for the reigning German champion and eventually made the cut for the German national team roster for the European Championship and the World Baseball Classic Qualifier. In Paderborn he is supposed to help fill the hole in the pitching staff after Brian Fields left for the Haar Disciples. Meanwhile the Disciples are losing two players for the Buchbinder Legionaere. 23-year-old outfielder Johannes Jung and 19-year-old left-handed pitcher Michael Woehrl are leaving the south of Munich to go to Regensburg. Jung is playing in the German Baseball-Bundesliga (203 games for Gauting Indians, Haar Disciples) since 2005. Woehrl, who was developed by the Ingolstadt Schanzer, appeared in 13 games in the past two seasons. However he will probably miss a big chunk of 2013, as he is slated to undergo elbow surgery in February.